With some veggies that needed to be eaten soon, I set to work developing an on-the-fly recipe that would make use of everything available. 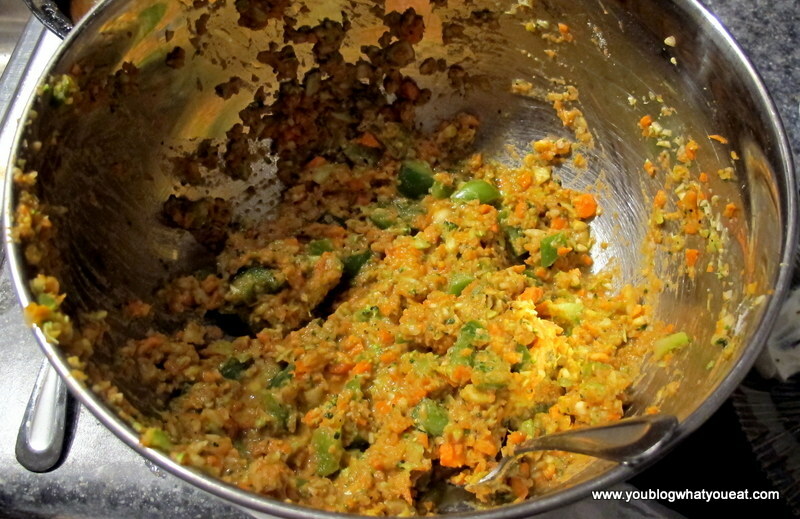 This recipe can be modified based on whatever veggies you have. Combine all ingredients in a bowl, adding spices to taste. I used garam masala, salt, pepper, and a small amount of an Indian spice packet. Serve with a little Greek yogurt! 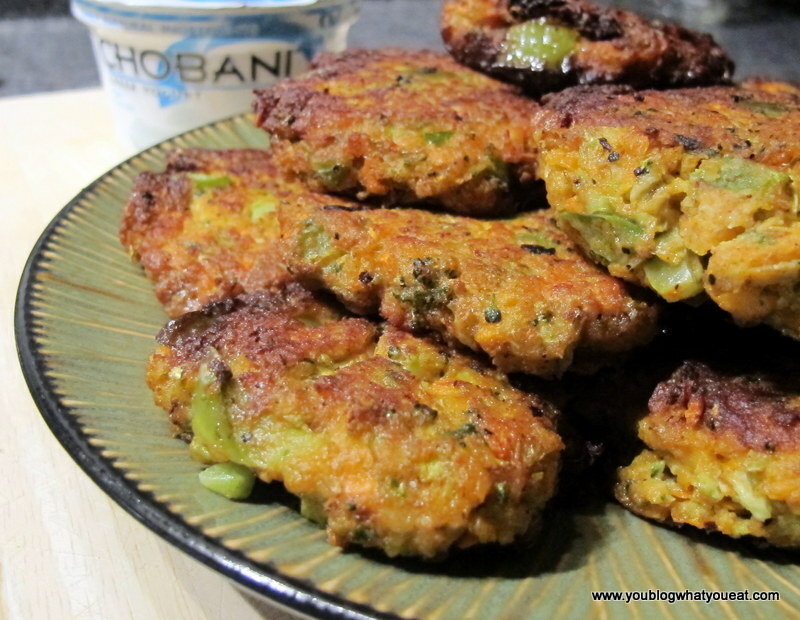 These turned out to be spicy and delicious, and can easily be frozen for a quick snack (just heat in the toaster oven)! 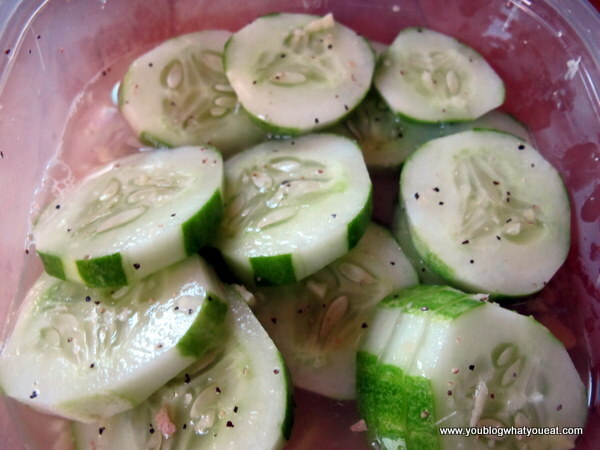 With too many cucumbers to keep up with from the garden, I made batches of ginger-pickled cucumbers! 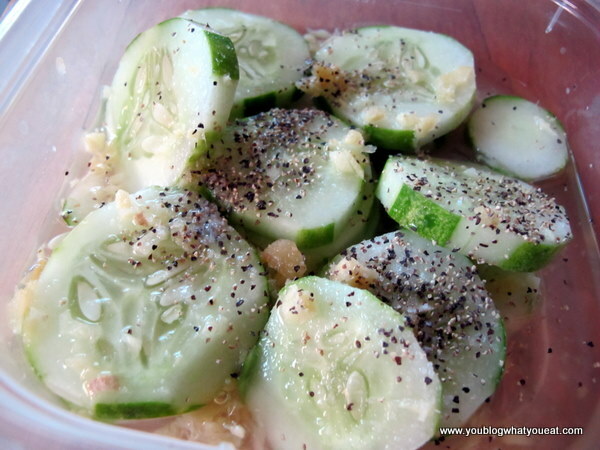 This is an excellent snack to keep on hand in the fridge or at work. 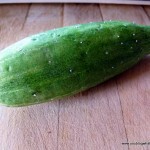 You can either peel the cucumbers or leave the skins on. I like to peel them in stripes because I think I’m fancy. Combined the sliced cucumbers and all other ingredients in a shallow dish. You only need splash of water, but you can adjust the vinegar/water/sugar ratio to taste. 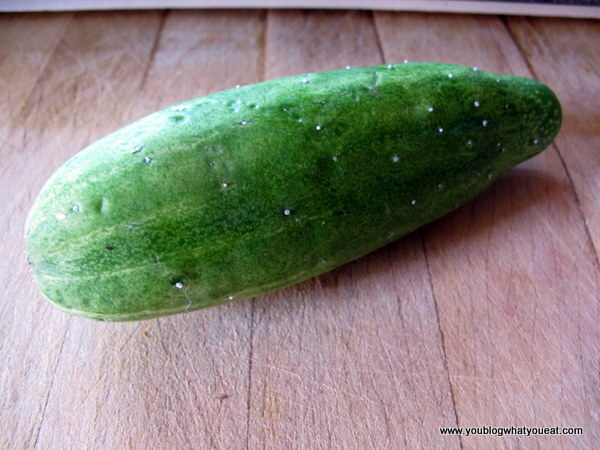 Shake the container to coat cucumbers in the mixture and allow to sit at least a few hours in the refrigerator. The longer these sit the softer and more pickled-tasting they get. The ginger flavor is so good!! Throw away your ranch dressing! It’s awful for you. Well, at least try this first. This is one of the easiest, most delicious, healthy, versatile dips/sauces you can make, and I urge everyone to give it a fair chance. You’ve probably seen tzatziki on top of your gyro, or served along side pita wedges as a part of a mezze. Greeks do meze / mezze / mezzedes like the Spanish do tapas: small plates of food shared amongst diners. 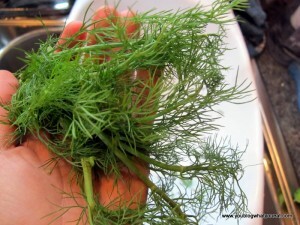 Optional but delicious: dill or Fennel (I used fennel and loved this). I highly recommend these herb scissors I just received as a gift from my mom ( Beach Dazed) as they have 4 blades that slice your fresh herbs right into your bowl–no waste of flavor or herbs, and quite a time saver. Parsley, mint, and olive oil are all optional enhancements. Feel free to play around. Greek yogurt, which is frequently fat-free, is high in protein (higher than other yogurts), has a thicker, creamier texture than other yogurt, and can be used as a substitute for cream and other products in baking and cooking. For instance, replace cream, cheese, or coconut milk in a curry with Greek Yogurt. It works, and is delicious. I’ve done it many times. 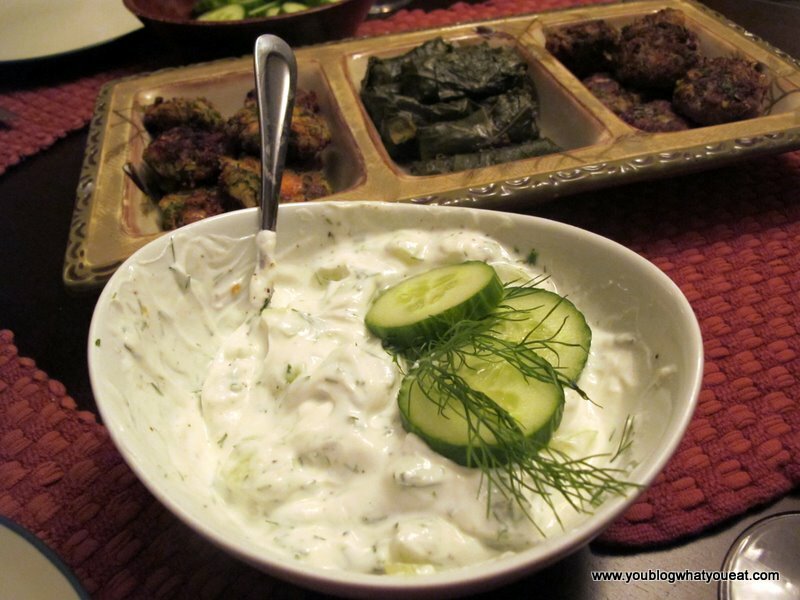 Get a large container of greek yogurt and transfer to a larger bowl. 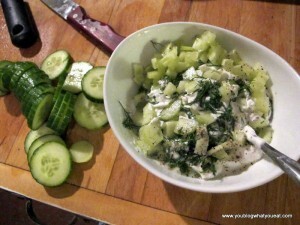 Peel 1/2 of a cucumber, dice and add to the yogurt. 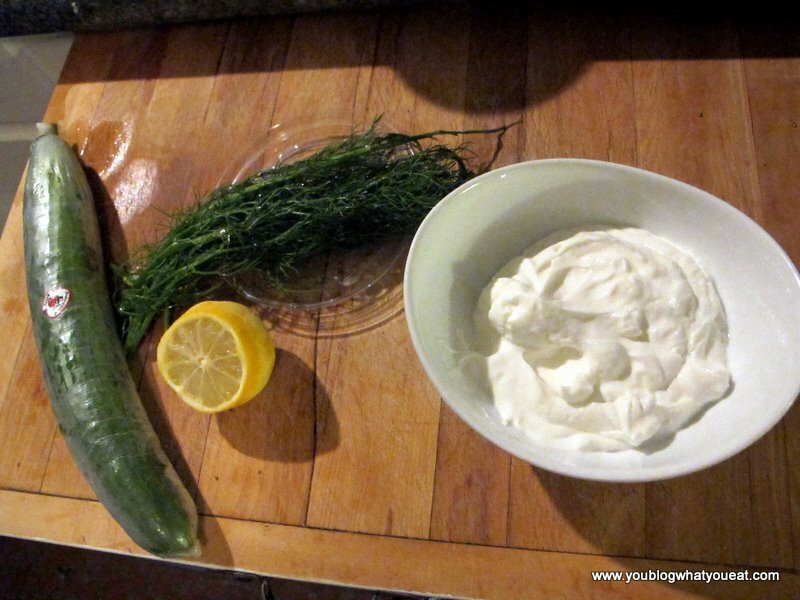 Sprinkle in a little garlic powder (to taste, again, but tzatziki should be garlicky). 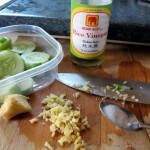 You can add fresh minced garlic if you have time to let the dip sit overnight, to absorb the flavors. 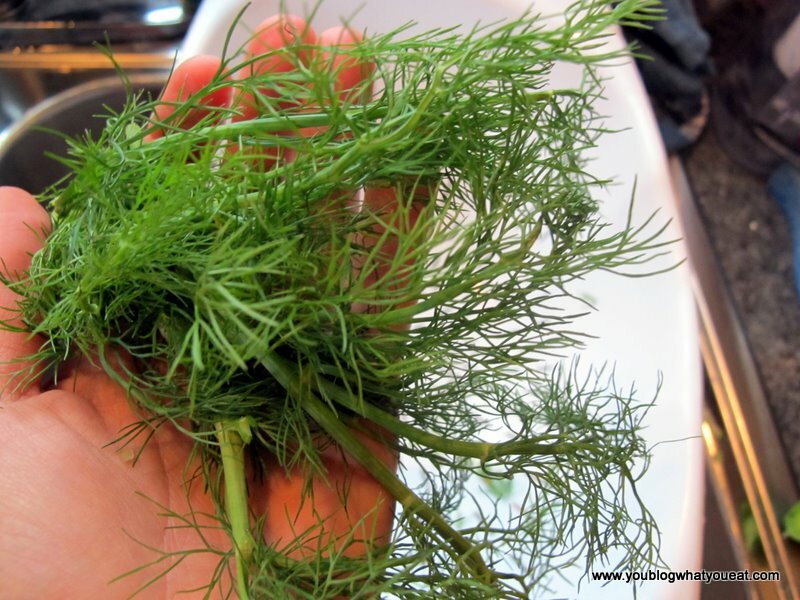 Chop 1/3 cup fresh fennel leaves into the dip, or dill if you have that. I recommend using these herb scissors, they made my life SO much easier (above). Enjoy!! Use as a dip for raw veggies, meze foods, fritters, meatballs, pita or bread. The prep time is only 5 minutes! After making kale chips the other week I figured it might be time to try and bake more veggies into crispy treats. I remembered reading somewhere about carrot chips. 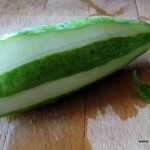 I wasn’t sure how to slice them thin enough so I peeled them. These are VERY easy to make, and another delicious alternative to chips or fries when served with your main course. 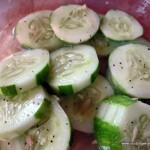 You can make these for a healthy snack as well! Peel your carrots using a peeler but avoid rotating the carrot for as long as possible to make wider sections. 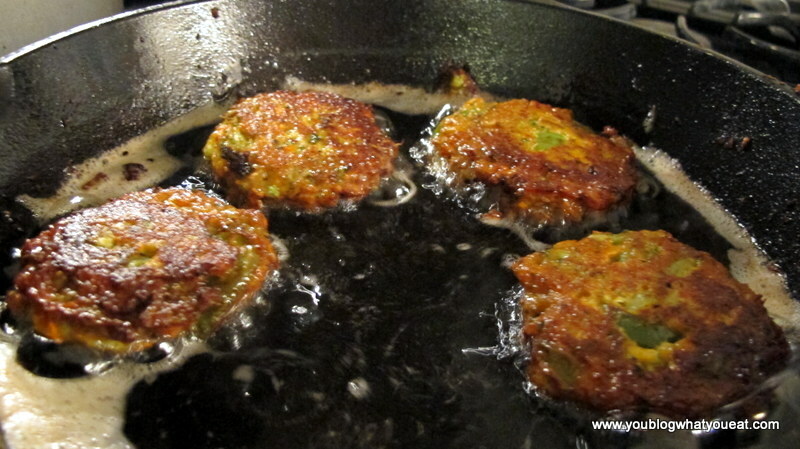 Lightly grease or oil the bottom of a cookie sheet to avoid sticking. You don’t need to toss or drizzle the carrots with oil. 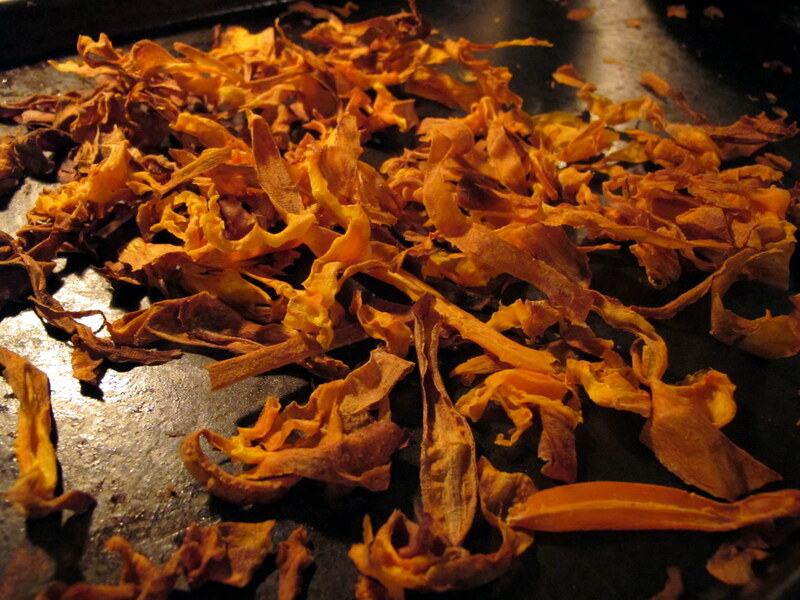 Distribute the carrot peelings on the cookie sheet evenly, with little overlap if possible, mixing them slightly in the cookie sheet to get a little oil on them. Alternatively you can spray the carrots with oil. I was just trying to avoid high of an oil-to-veggie ratio. 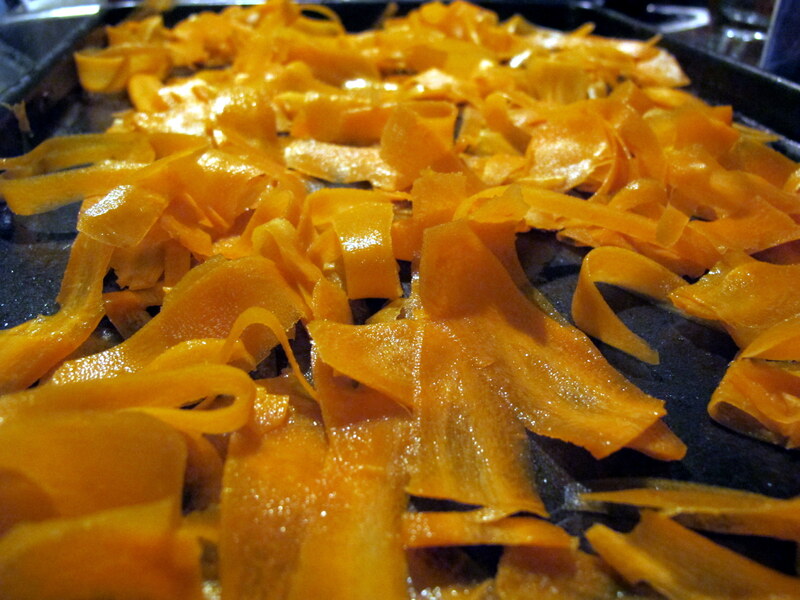 Bake at 350 for 10-25 minutes.. depending on how thick your carrot slivers are, until crispy but not burnt. 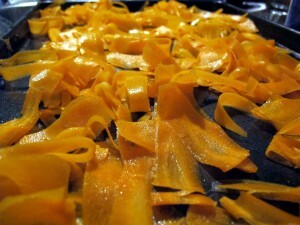 If you have a mandolin you can slice the carrots with that, but increase your cooking time and/or your temperature to get them crispy and cooked through. 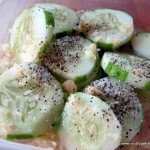 Play with seasonings for additional flavor, but alone these are delicious! Yum! A few sections were crispier than others, but they still turned out well. Next time I think I’ll try the thicker slices and see how they go. But… my fruit chips turned out magical. Let’s just say, that my lovely girlfriend ate ALL of the banana chips in one sitting and although she isn’t a total slobbish eater, she is far from an overly heath conscious eater. So, I purchased a Nesco dehydrator from Bed, Bath and Beyond for about $60. I did look at the $40 Oyster dehydrator at Walmart but I opted to spend the extra $20 for 2 reasons; 1. The Nesco dehydrator has an adjustable temperature gauge so that you can change the temperature at which you dehydrate, which is great if you are a raw foodist and 2. The Nesco dehydrator comes standard with 4 trays but you can buy extra trays if you need to dehydrate more stuff at once. And as with any new toy, I had to try it out as soon as I got home. We had 3 brown bananas sitting on the counter which were totally ready to be stored in File 13 but I figured what the hell. I sliced all three bananas up into about 1/2 thick slices and laid them out on the dehydrator tray. 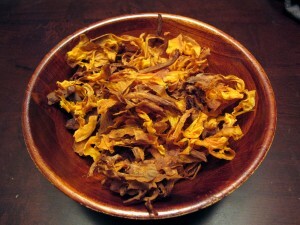 I sprinkled the slices with a few pinches of sea salt and turned the dehydrator on. I let it run over night and by the next morning, I had yielded banana chips. They were a little brown from the oxidation process that bananas usually encounters from the air hitting them but that had nothing to do with the taste. They were absolutely fabulous! 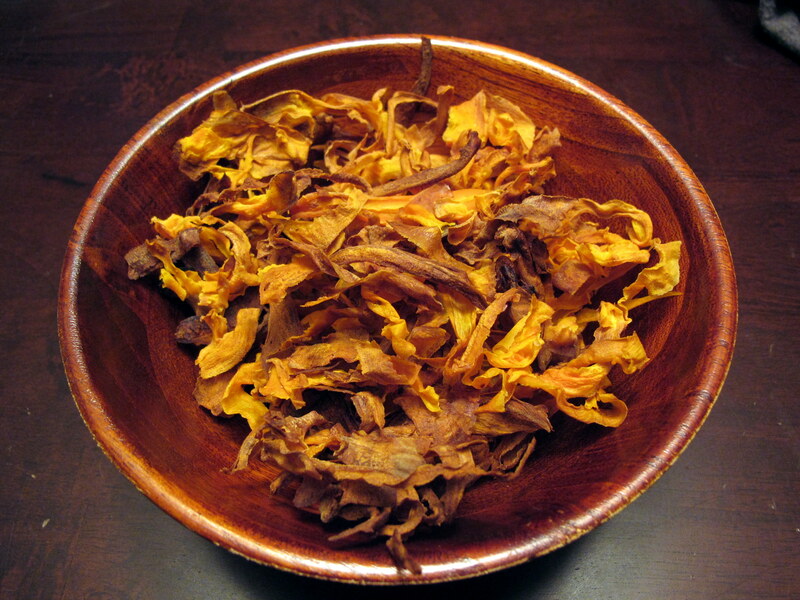 I did read an article stating that if you dip the slices in lemon juice before you dehydrate it will allow them to keep their color without affecting the flavor. I will be sure to try this technique the next go round. I followed up my banana chips by dehydrating some pineapples and strawberries. The process is quite simple. 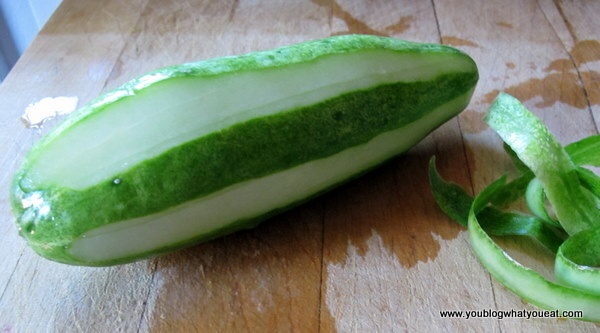 Gather your fruit and cut into slices to your liking, but be mindful that they will shrink so don’t cut them too small. 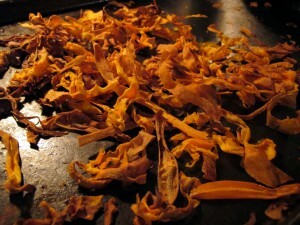 Lay them out on your dehydrator tray and turn it on. It may take quite a few hours but the reward is well worth the wait. 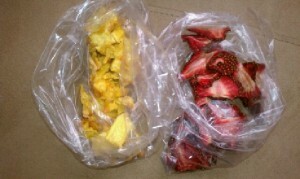 Try dehydrated fruit in your oatmeal, trail mix or as a stand alone snack!